Video games and chillout music go together like vaporwave and slowed-down samples of Diana Ross. You already know that if you've ever listened to YouTube favorites like Zeldawave (which remixes the Ocarina of Time soundtrack), and now a new tribute album is giving the golden age of Squaresoft RPGs a similar treatment: The World Is Square - a 15-year project from prominent game remix musician Mustin - is coming on February 14, and we have an exclusive track preview to share with you. The World Is Square features music from Final Fantasy 4, 6, and 7, as well as Chrono Trigger and Secret of Mana. 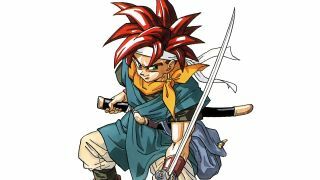 As an eternal fan of Chrono Trigger (its Avengers-level teamup of JRPG development titans at their prime produced something that's still unequalled, in my opinion), I'm pleased to share this preview of track 5: "From the Bottom." It's a jazzy lounge cover of "Depths of the Night," the song that plays in the background of a handful of melancholic moments throughout Chrono Trigger. I'll admit that I can sometimes be an annoying purist when it comes to video game music. Especially with stuff from the chiptune era, I'd usually rather just listen to the original track than a fan remix or even an official orchestral arrangement. But despite all that, "From the Bottom" works for me. The lounge mood mixes up the feel enough for easy listening, allowing one to enjoy Chrono Trigger composer Yasunori Mitsuda's underlying melody without getting all bummed out (because "Depths of the Night" is super sad, especially if you start thinking about Robo and his poor pink girlfriend). You can hear some more of The World Is Square on Bandcamp or iTunes and put in a pre-order for the album's full release on February 14. Find more sounds to celebrate in our rundown of the 25 greatest video game soundtracks of all time.